This is a half scale miniature dress form, not a full scale form. 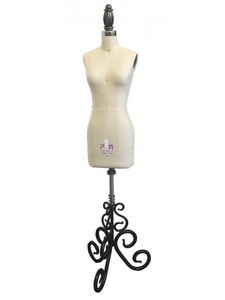 This miniature dress form's height is only 17 1/2". 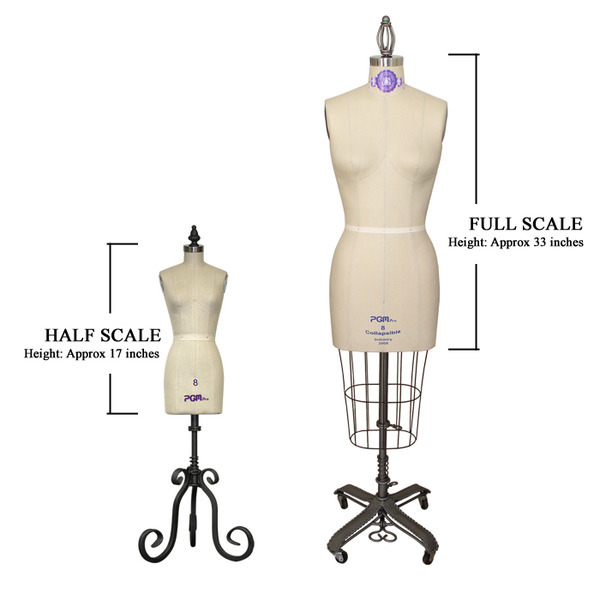 All measurements are 1/2 scale of the regular full scale form. Half Scale Dress Form Pictured Next to a Full Size Dress Form. I love my dress form! Thanks for getting it to me so quickly! Item shipped quickly and was packed very well. Excellent price and quality.